I wanted to show off this GE receptacle I found in a house I was doing some work in. It's a back-stab only model. Would you care to add further comments, Brian?. "Would you care to add further comments, Brian?." Yes, the floor is my own house, 1300 square feet of oak refinished by my wife and myself. Wow, that's quite an odd one, isn't it? 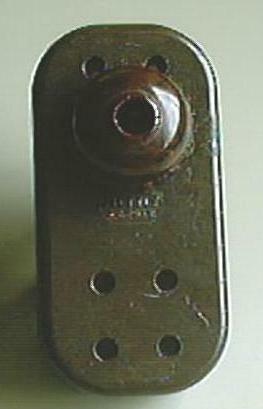 A Quad receptacle in a single gang box. That's a good one for your "relics" pile. (We all have relics piles, don't we?). I have one of those sockets. Saw it in a hardware store. Had to buy it, naturally, along with another socket with springloaded rotating child-safety covers. And yes, I have a small (but growing) relic pile. Anyone want to contribute? The only problem with this quad recept. is that just like its plug-in triple tap cousins, you can't use the outlet to full capacity with round plugs. You mean that you can plug 4 appliances into this socket?. What is it's current rating?. Yes we do Scott, mines starting to get out of control here!. You mean that you can plug 4 appliances into this socket?. What is it's current rating?. I dug mine out of the box. The labelling says 15 Amps, 125 volts. There is no wattage rating listed. Yes, it's for plugging four two-pin plugs (but they have to be the very flat ones, round ones would cover up the second set of holes). Lets not get too bent out of shape about this one. Keep in mind that this is probably an early 1950s vintage and the intent was for it to be installed in a living room, bedroom or similar location. There was room to plug in the radio and a couple of lamps with a spare. In that era, you didn’t have televisions everywhere, hair dryers, and certainly not computers. These small items would not overload the receptacle. BTW when can you come over to do my floors? This isn't a replacement receptacle, but rather an "adapter," or line tap, providing four 5A outlets from one 15A wall socket. 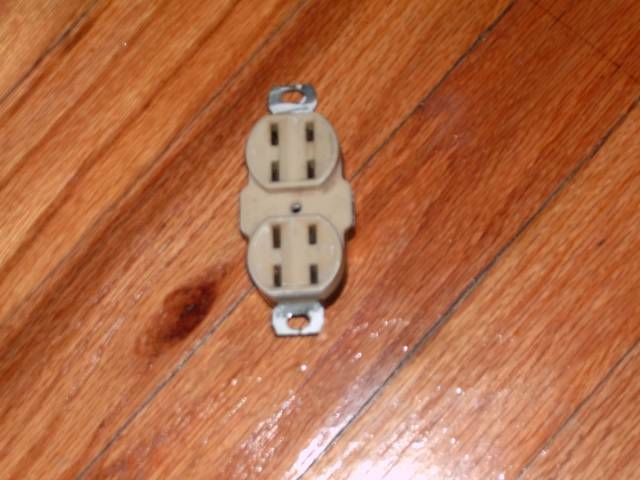 As you can see, it has a similar sort of restriction if you use round plugs.